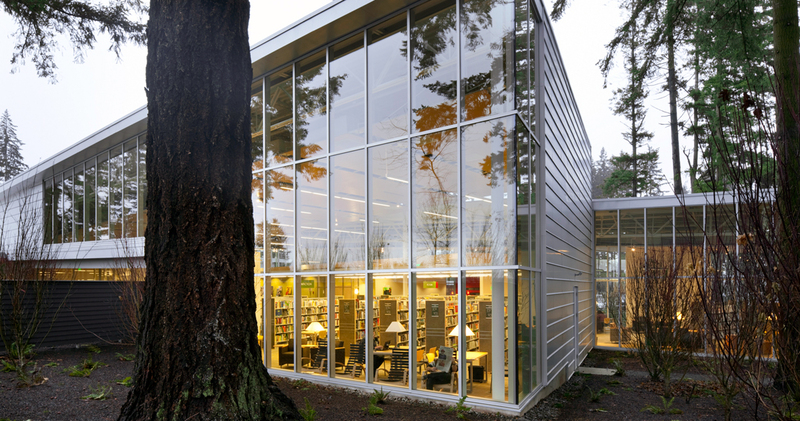 Opsis and Johnston Architects collaborated to provide comprehensive services for the design of a new $6.3 million branch library. 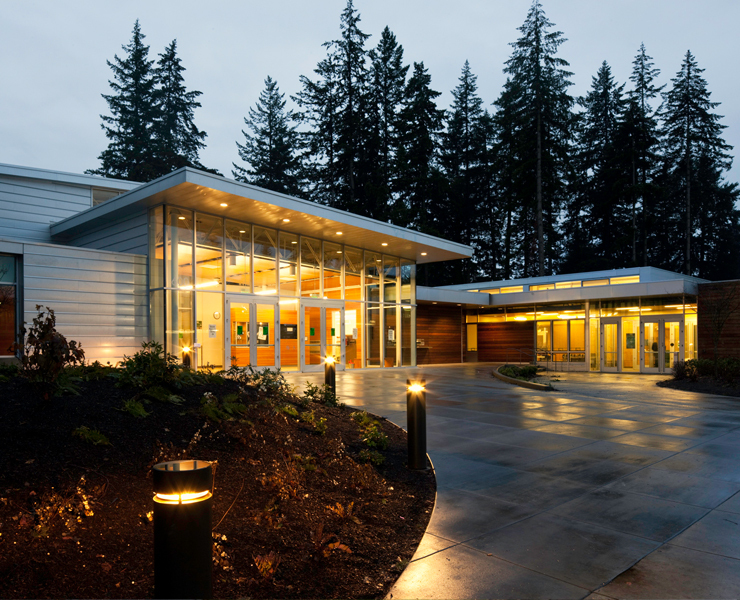 The building also completing the Opsis designed masterplan for the site that includes the Firstenburg Community Center. 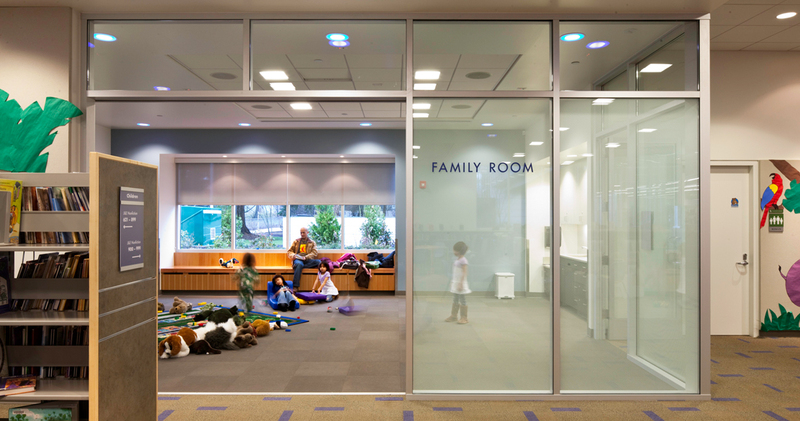 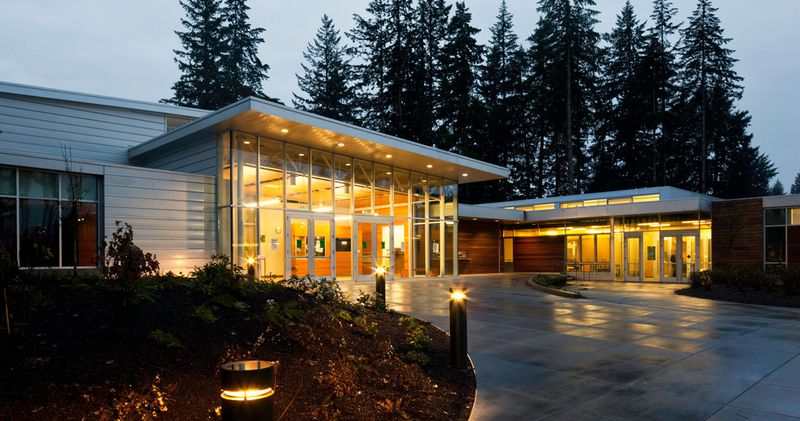 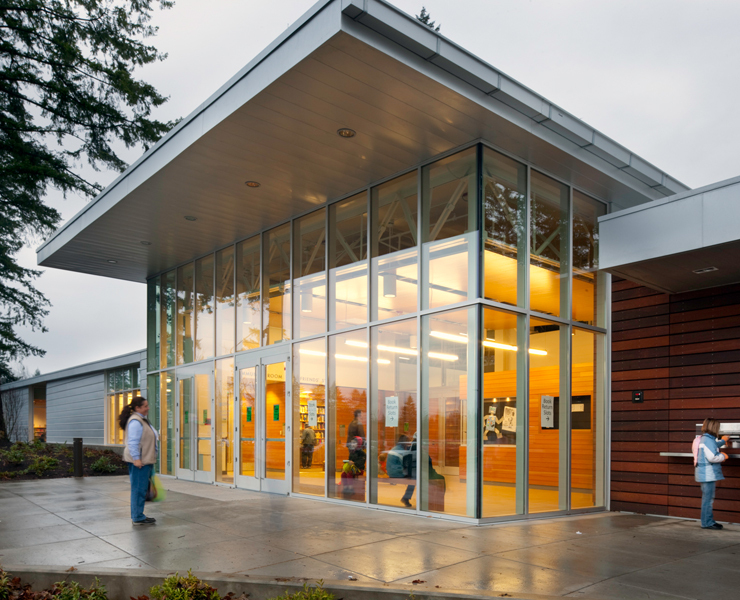 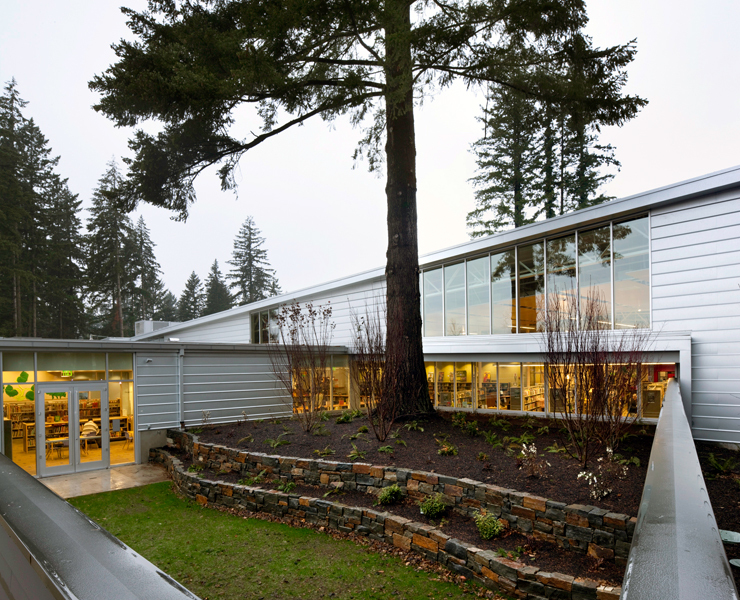 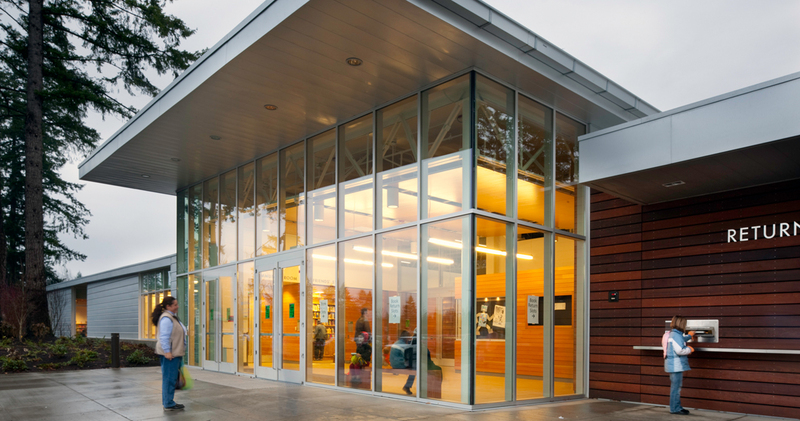 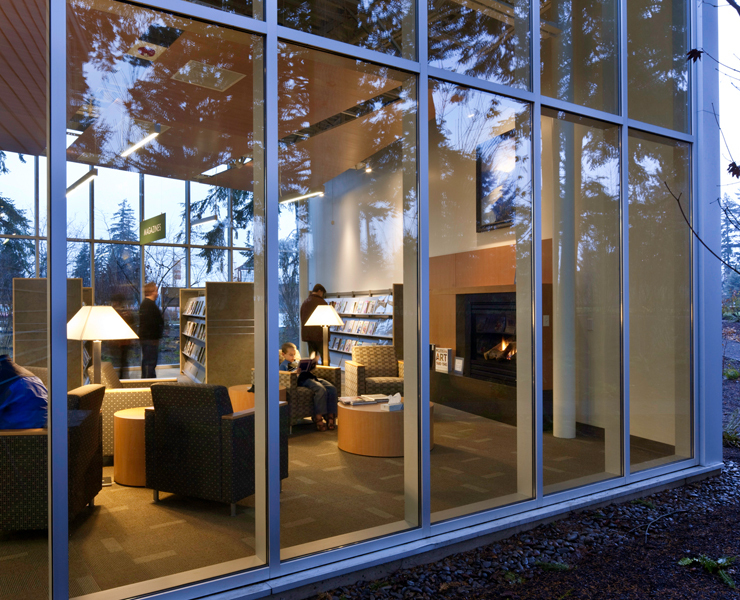 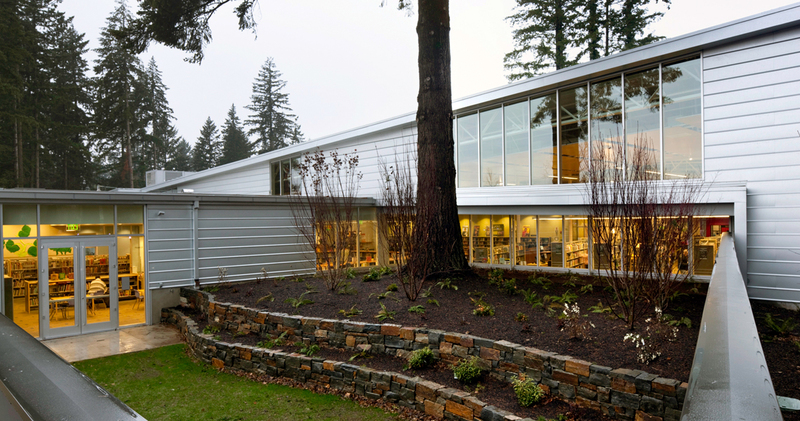 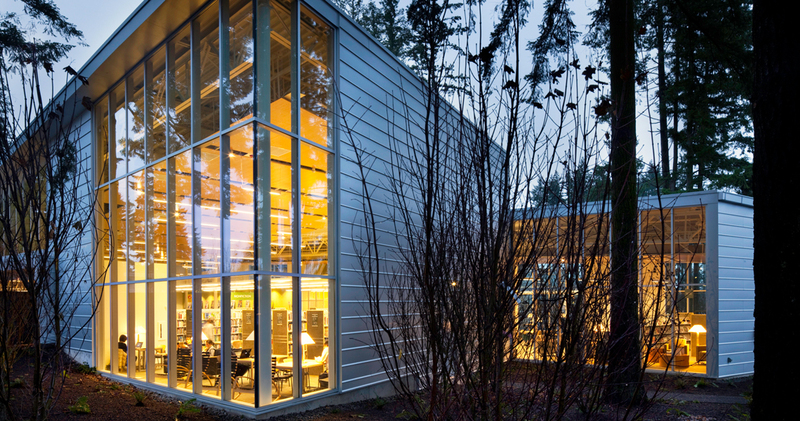 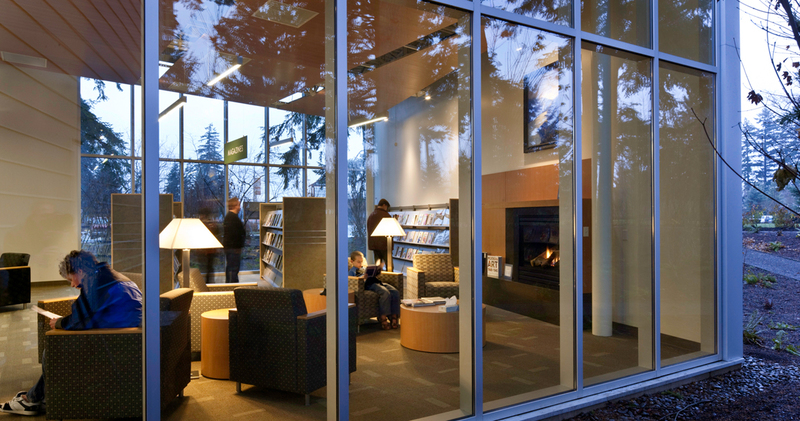 This complex was conceived as a new “civic center” for the recently annexed portion of Vancouver – a place to elevate the “body and mind.” The 25,000 square foot library replaced the existing, severely undersized, 2,500 sf Cascade Park Community Library. 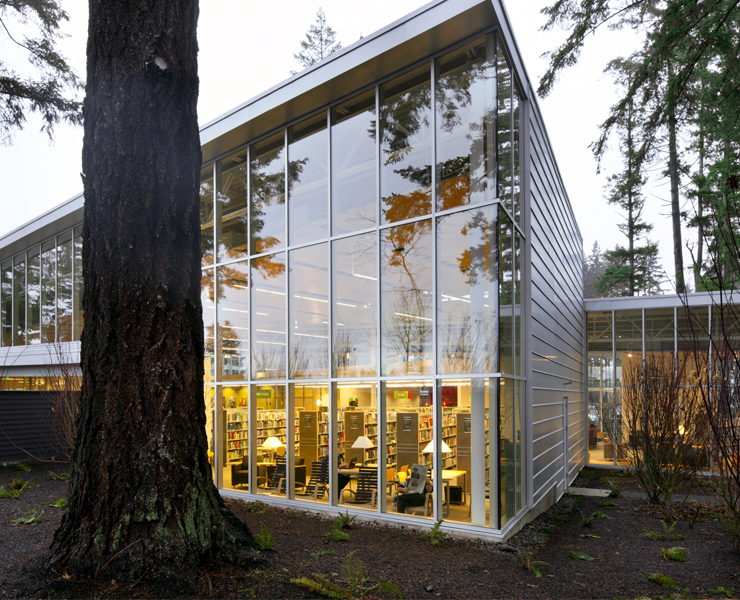 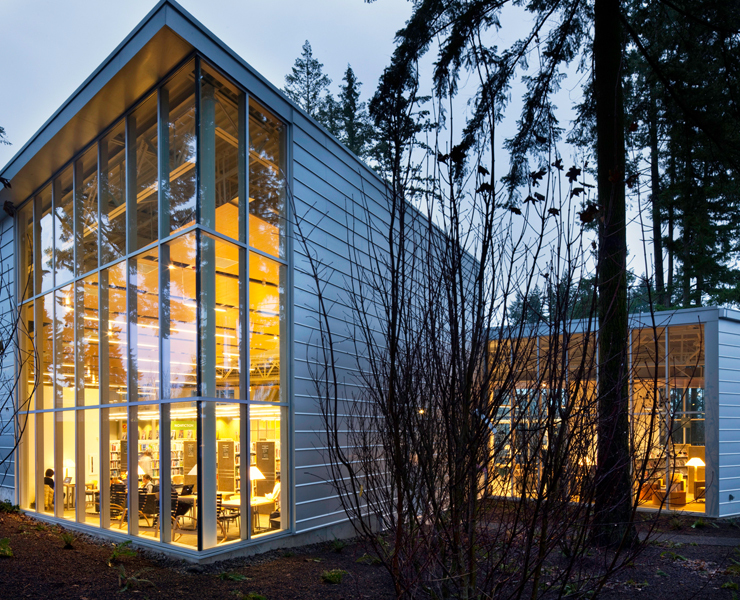 Sited to preserve a number of large existing fir trees, the building focuses views into the trees and captures filtered daylight. 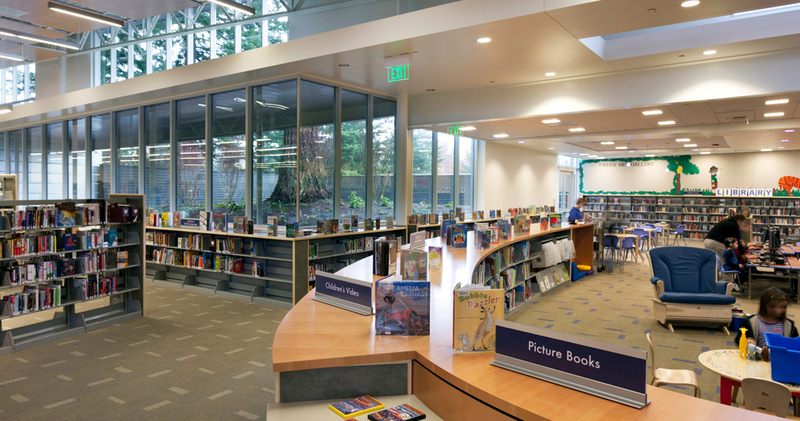 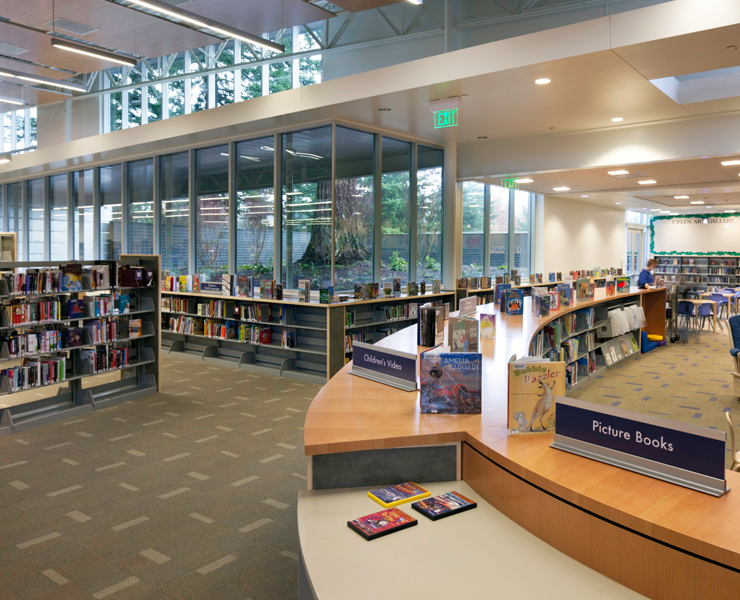 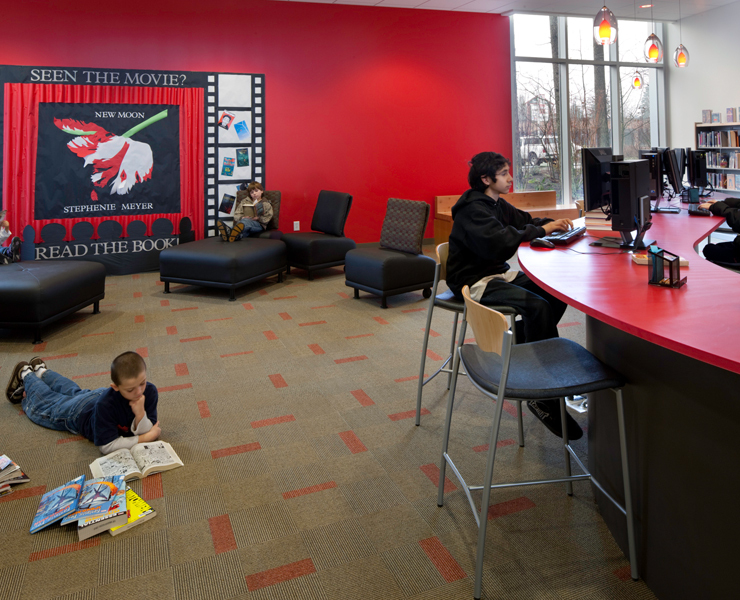 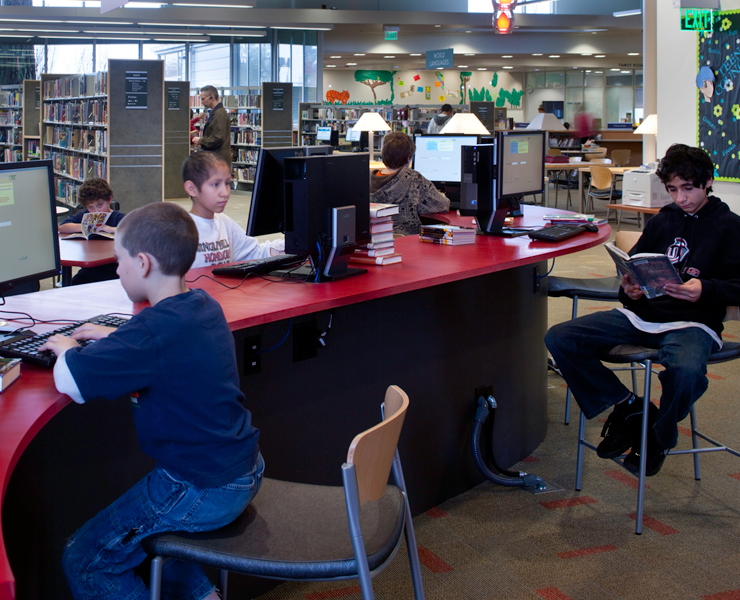 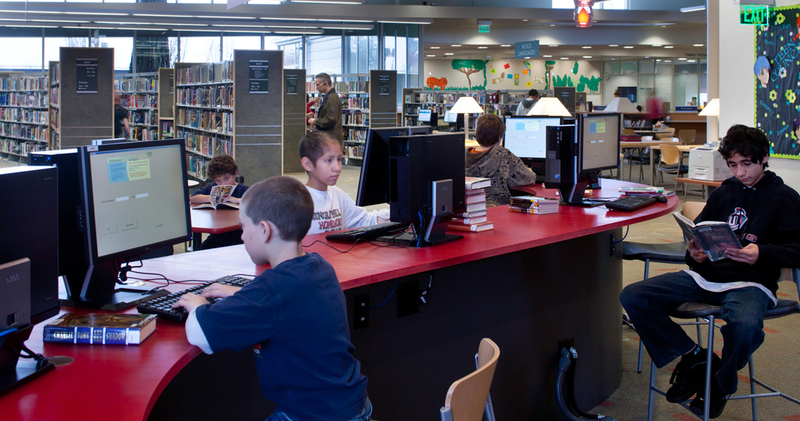 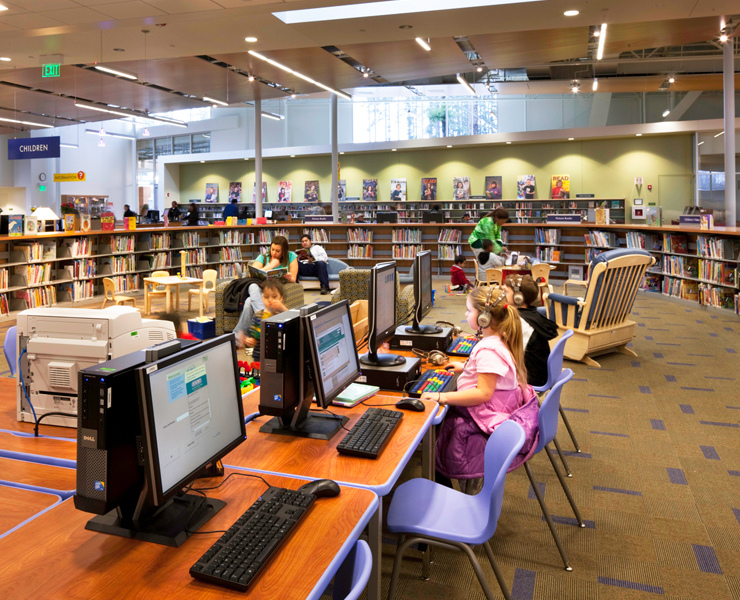 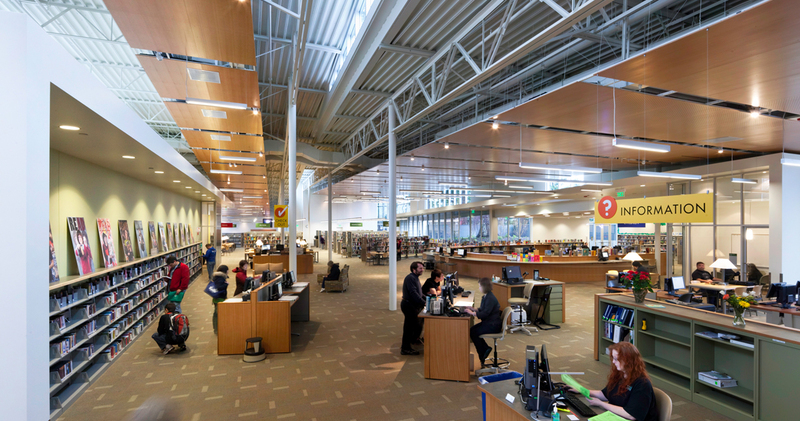 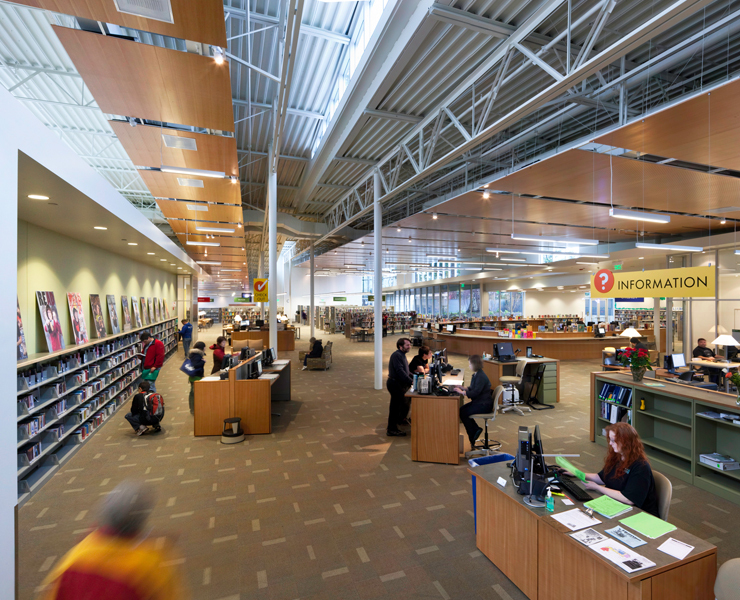 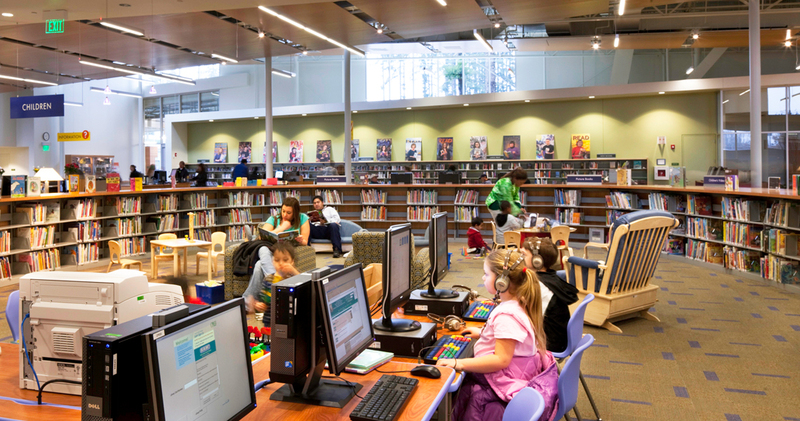 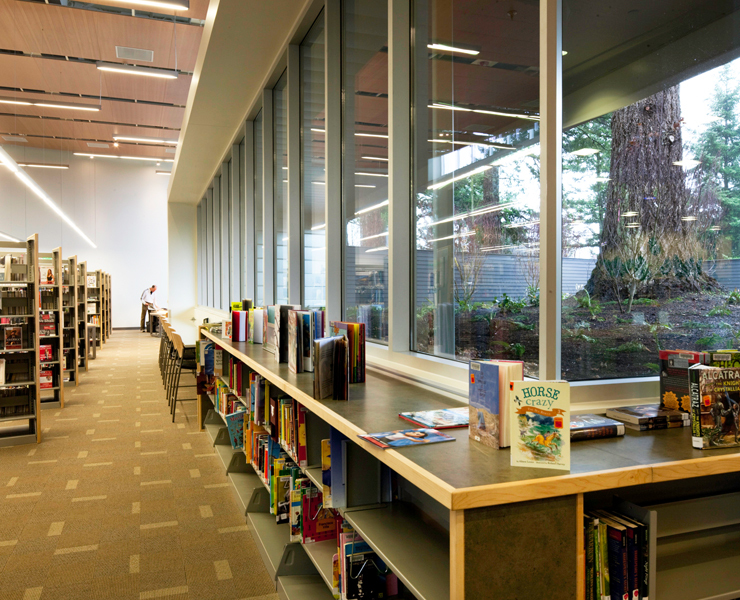 The dramatic, sloping wood ceiling reading room, stacks, and checkout are visually connected to the surrounding children’s area, teen area, and meeting rooms. 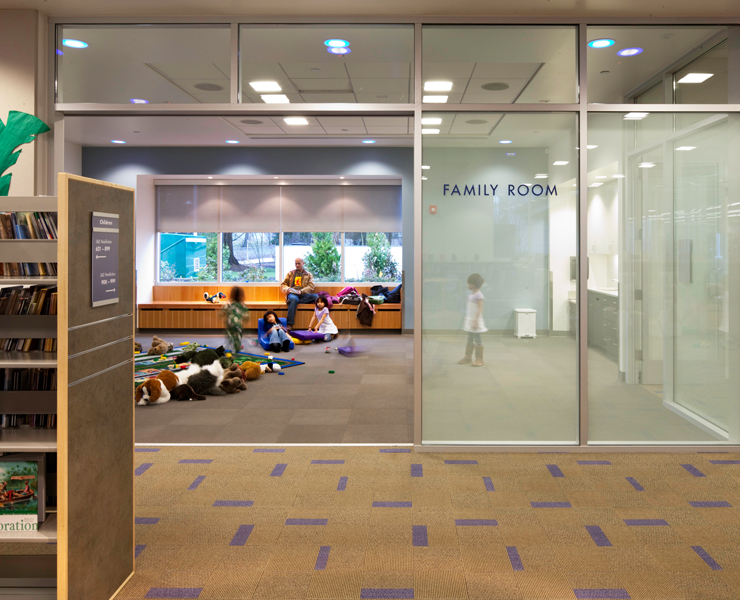 A large community meeting room features a shared but securable entrance for use when the Library is closed. 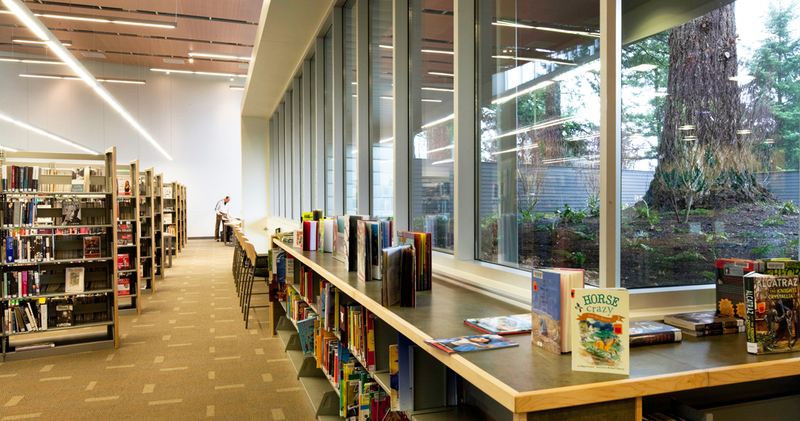 The children’s area includes a curving wood parent perch, a family story room, and an outdoor courtyard.